If you’ve been following the Prodigious Fund’s 100-Day Trainer Challenge, then chances are you care a little bit about horses, and ex-racehorses in particular. According to the Jockey Club, nearly 30,000 Thoroughbred horses are born in the U.S. each year. The vast majority of these Thoroughbreds will be used for racing, and the vast majority of those that race will eventually become ex-racehorses in need of a second career. They need a new life. Unfortunately, there are not always suitable homes for these horses. Several thousand ex-racehorses will end up being sent to slaughter each year. Others may find themselves in the hands of inexperienced owners, perhaps even neglected or abused. Not everyone can sign up to retrain an ex-racehorse, but anyone can do something to make a positive difference in the lives of off-the-track-Thoroughbreds (OTTBs). 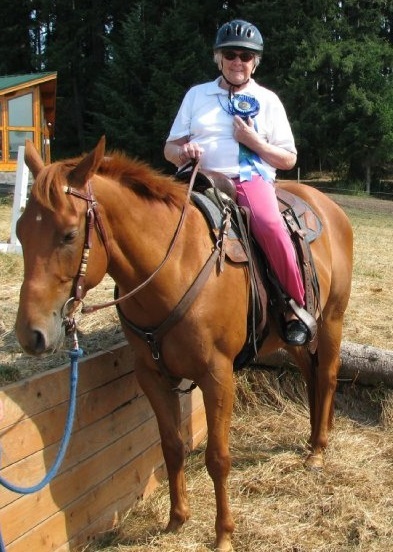 My wonderful Thoroughbred, Sewickley, (age 4) and my Grandma Mary (age 89). 1. Challenge Thoroughbred stereotypes. Thoroughbreds, especially ex-racehorses, tend to get a bum rap. For many, “Thoroughbred” conjures negative connotations: hard keeper, flighty, spooky, fragile, high-spirited. 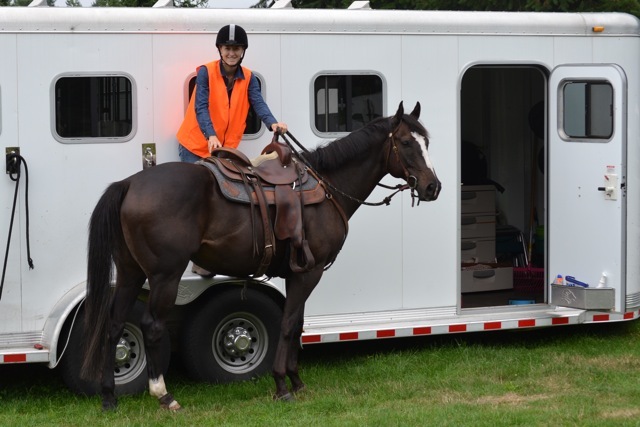 These stereotypes are widespread and haunt efforts to successfully transition OTTBs to new careers. But not all OTTBs fit these negative stereotypes. 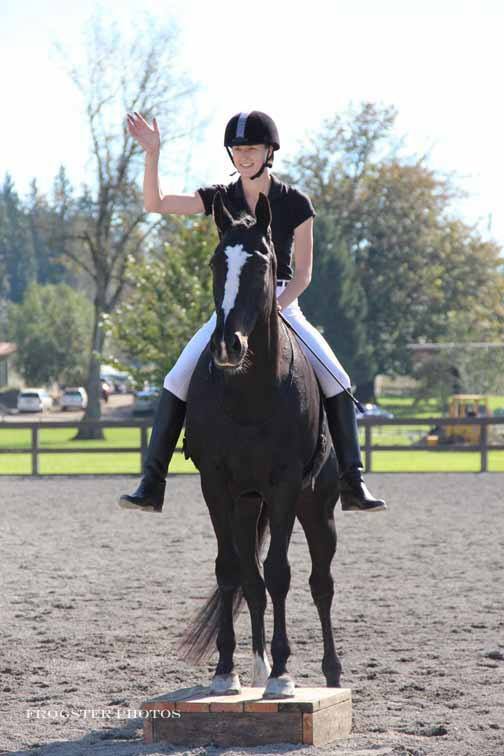 With proper training, ex-racehorses can be excellent equine partners. There are many riders–professionals and amateurs alike–who believe that Thoroughbreds are the most athletic and hard-working breed. 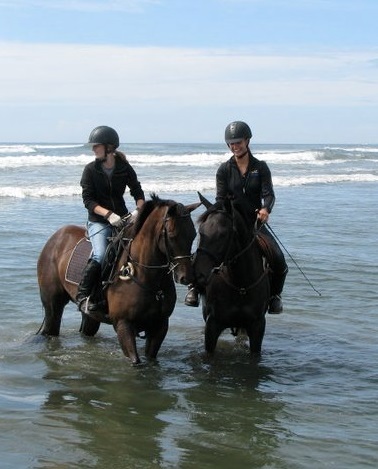 Furthermore, OTTBs are extremely versatile and can occupy a wide range of second careers, including jobs like lesson horses, ranch horses, therapeutic riding horses, or police horses. The characteristics of ex-racehorses vary depending on each horse’s unique impermanent, training, and life experience. So, the next time you hear someone bad-mouthing Thoroughbreds based on”hearsay” or their own experiences with a limited number of OTTBs, stop the stereotypes in their tracks! It’s not fair to judge individual ex-racehorses based on generalized ideas about the group at large. 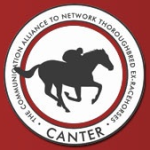 The Communication Alliance to Network Ex-Rachorses (CANTER) – CANTER provides an online platform to connect potential adopters/buyers with racehorses who are ready for a new career. They list racehorses available for rehoming at racetracks throughout the country. 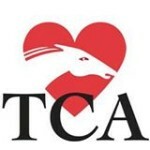 Thoroughbred Charities of America (TCA) – TCA raises funds to offer grants to Thoroughbred-related organizations. Over the years they have awarded hundreds of thousands of dollars to more than 220 organizations that help Thoroughbreds. 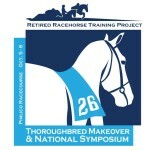 Retired Racehorse Training Program (RRTP) – RRTP is dedicated to educating the public about the talent of ex-racehorses in efforts to increase demand for OTTBs. Their mission is to place ex-racehorses into successful second careers. OTTB Courageous Comit and Becky Holder. Video clip from WEG 2010. 3. 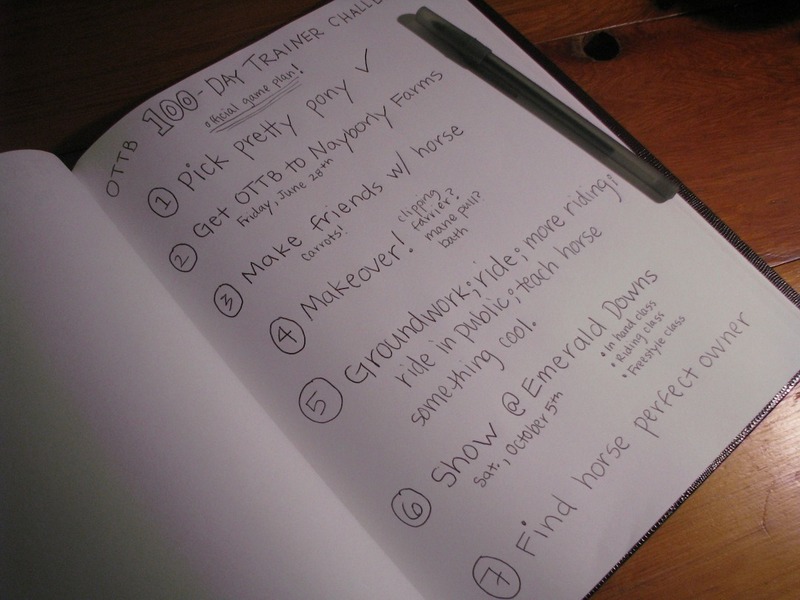 Highlight the successes of OTTBs. Whether they belong to you or others, spread the word about what ex-racehorses can do beyond the racetrack. Some of the most successful sporthorses in the world are ex-racehorses, like Olympic three-day eventer and 2012 Advanced American Eventing Champion, Corageous Comit. But OTTBs are successful at all levels of competition: they barrel race in rodeos, carry pony clubbers through the rating system, win trail competitions, and much more. And don’t forget the thousands of ex-racehorses who are simply friends and companions, bringing joy to the lives of their owners. For an example of someone who helps get the word out about what ex-racehorses can do, check out Susan Salk’s blog, Off-Track Thoroughbreds. 4. Promote responsible breeding, ownership, and racing practices. 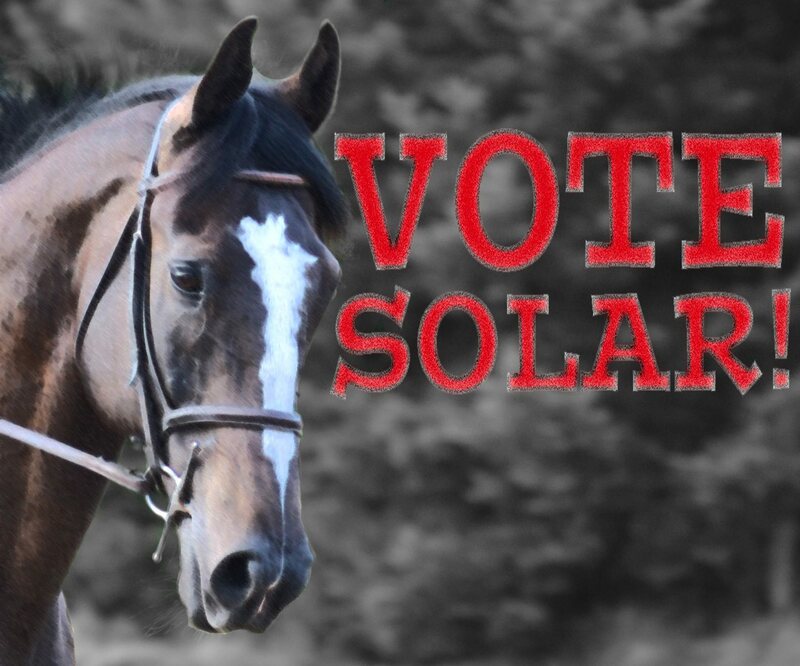 Get behind laws and regulations that protect the welfare of racehorses. Only go to tracks that make efforts to take care of the horses who race–good footing, good vets, aftercare programs, etc. Don’t do business with owners or breeders who practice poor horse management skills or engage in cruel, abusive, or questionable practices like the use of illegal substances. If possible, hold people accountable for “dumping” OTTBs into poor situations, breeding unsound animals, or over-breeding. Report animal abuse or neglect if you are a witness. Do your part to educate others, including non-horse people, about quality horse-care practices so others will also work to protect horse welfare. Have fun with an OTTB! 5. Consider OTTBs in your horse search. Next time you or someone you know is looking for a new horse, consider Thoroughbreds in your search. No matter what discipline you ride, know that there are ex-racehorses out there who have potential for your sport. You can find OTTBs with all levels of training–some fresh off the track, others established elite athletes in their second careers. While you may not be able to find an OTTB that meets your specific needs or matches your personality, certainly don’t exclude a horse from your search simply because it is an ex-racehorse. Also, there are many resources online that share important considerations for finding and owning ex-racehorses. 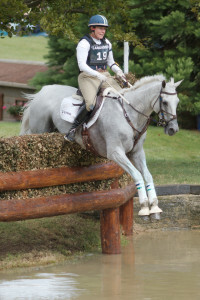 Check out Steuart Pittman’s ideas for expanding the market for OTTBs. In what ways have you helped off-the-track-Thoroughbreds? Share your ideas or comments below! Annual North American registered foal crop. Retrieved August 15, 2013, from http://www.jockeyclub.com/factbook.asp?section=2. Eckhoff, V. (2001, November 29). Racing industry silent about slaughtered Thoroughbreds. Forbes.com. Retrieved August 13, 2013, from http://www.forbes.com/sites/vickeryeckhoff/2011/11/29/racing-industry-silent-about-slaughtered-thoroughbreds/. U.S. Thoroughbreds Slaughtered. Wild for Life Foundation. Retrieved from 2002 – 2010 http://www.wildforlifefoundation.org/Case_Study_U.S._Thoroughbreds_Slaughtered_2002-2010-WFLF.pdf.